Could You Have Uninvited Animals in the Attic? Prevent attic pests. Home / Blog / Could You Have An Uninvited Guest In Your Attic? Could You Have An Uninvited Guest In Your Attic? I can’t think of anything much scarier than bumps in the night – – the sounds from up above that make us think that we may have unexpected company. It’s not uncommon to unwanted animals in the attic, and most often, the likely sneaky squatter is a mouse or rat. Although, I wouldn’t be doing my job if I didn’t warn you that there are some other possibilities. Raccoons, possums and squirrels sometimes find their way in – it might even be a bat that’s driving you batty. The most common types of noises that you will hear above your head are thumping, chewing and scratching. The thumping because these critters are constantly scavenging for food or a place to sleep, moving around making lots of noise. The scratching and chewing are the sound of them working their way through wires, insulation, and anything that they may want to make a bed out of. Footprints are the first sign that you may have uninvited guests. Damage to your home is pretty much evidence that some sort of rodent or animals has been trying to make its way in. Look for little prints in the mud, snow, and on the siding of your house. Also look for damage to soffits, the roof, chimney, and any vents. What is in my attic? 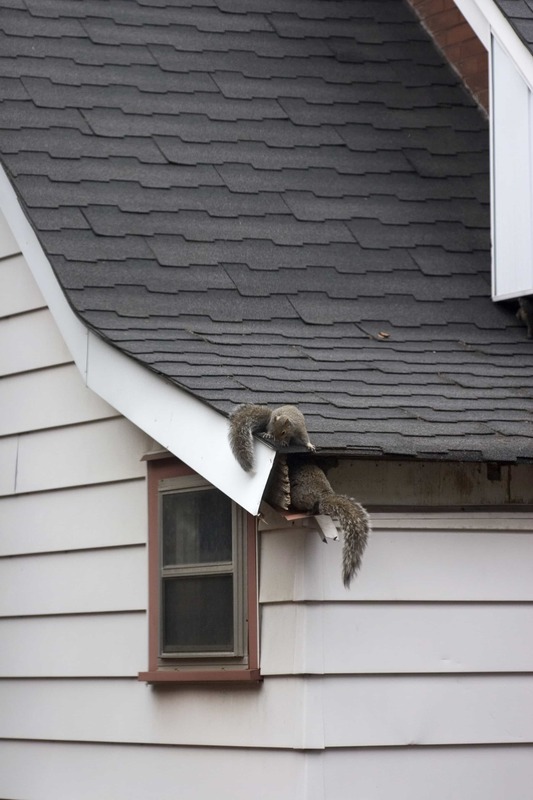 -Chewing and thumping are common sounds made by squirrels, who think of your attic like a giant, hollowed out tree. They are most active in the day and will leave nests behind, along with a ton of droppings and chewed up wire and insulation. -Possums are more difficult to hear as they are nocturnal and quiet. However, they are slow, heavy critters that you may hear slowly waddling around. They are known for having an odor and will leave behind a plethora of droppings. -You will know that you have a raccoon if you hear heavy footsteps and thumping, as they are larger, nocturnal animals. They make a mess wherever they go and can be found destroying ducts, insulation, and leaving droppings the size of a small dogs poop behind. -Rats and mice are the most common critters that will make their way into your attic. They are nocturnal and can be heard scurrying around, with some scratching here and there. They will leave nests and droppings behind, and chew through wires. How to get rid of animals in the attic? The first step is to call an exterminator and have them removed. But your job isn’t done there. If you don’t want repeat visitors, there are a few more things you’ll need to do. Cleaning up the area that was inhabited is the next step. Before cleaning any area that was infested with animals, it is important to protect yourself properly by wearing a mask and gloves. 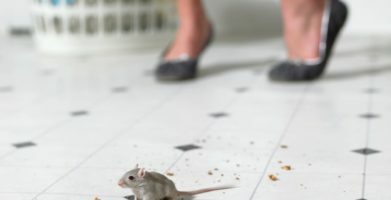 By cleaning up anything that they may have been munching on, bedding in or defecating in, you are eliminating the potential for them to come back. For example, raccoons follow each other’s scent and will relentlessly find their way back. Cleaning the area of food sources and odors of urine and feces will help. Your next step is to seal any holes or cracks that they may have used as their makeshift front door. The most common entry points are heat and air ducts, vents, cable and drain outlets as well as chimneys. Any damage to your house should be repaired, so you won’t have returning guests. For a temporary fix you can stuff stainless steel pads in the holes or cracks and cover the area with caulk. The steel prevents the critters from chewing through, and the caulk helps keep everything in place. It is also important to note that many of the animals found in attics are excellent climbers. Cutting down or trimming any nearby trees is an extra precaution. Your best defense is a good offense – – and that means paying attention to any strange sounds you might hear. The quicker you act the less damage you’re likely to find. To prevent pests from making your home their own, no matter that location, protect your attic with the EPA registered rodent repellent Stay Away Mice. As for the bigger critters that have made your house their home, once you’ve had them removed and had any entryways repaired, keep a constant eye on the exterior of your home. We know some people who have even installed motion detectors in their attic. 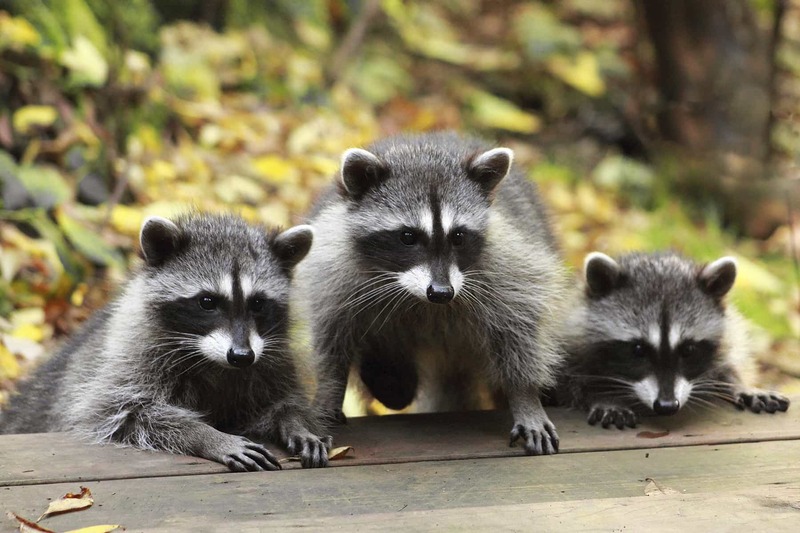 They may be small, but wild animals can do as much damage as burglars. They may not take you jewelry, but if they’re in your attic long enough, they’ll leave you with the same sense of loss. I can’t think of anything much scarier than bumps in the night - - the sounds from up above that make us think that we may have unexpected company. It’s not uncommon to unwanted animals in the attic, and most often, the likely sneaky squatter is a mouse or rat. Although, I wouldn’t be doing my job if I didn’t warn you that there are some other possibilities. Raccoons, possums and squirrels sometimes find their way in – it might even be a bat that’s driving you batty. Your best defense is a good offense - - and that means paying attention to any strange sounds you might hear. The quicker you act the less damage you’re likely to find. To prevent pests from making your home their own, no matter that location, protect your attic with the EPA registered rodent repellent Stay Away Mice. string(48) "Could You Have An Uninvited Guest In Your Attic?"